Ahh yes, bring on the summer weather. Been hitting 90’s already here (while it’s snowing in other places in the country) which means more backyard time for me. Today I’m taking an Illusione Cruzado and a Ballast Point High West Barrel Aged Victory At Sea for a spin. The Illusione Cruzado has been around for a few years now. I actually reviewed it for the first time way back in 2009, you can check that review out here. The blend has been updated throughout the years but this newest version actually got a design update as well. Blended by Dion Giolito, owner of Illusione, and manufactured these at the TABSA factory in Nicaragua utilizing a Nicaragua Corojo Rosado wrapper, Nicaraguan Filler and Nicaraguan Criollo 98 and Corojo 99 filler. The Cruzado comes in four sizes: Churchill (6.7 x 48), Gordo (6 x 56), Robusto (5.2 x 50), and the Short Robusto (4.2 x 48) all packaged in boxes of 20 ranging between $8.25 and $11.25 a stick. These were sent to us by our awesome friends at Fox Cigar Bar. You can order them directly from them here. 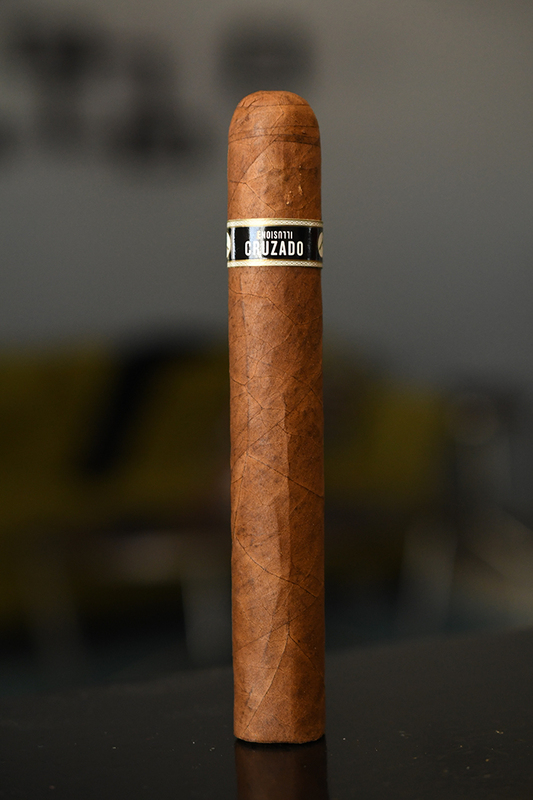 The Illusione Cruzado starts out with a very natural, rustic looking wrapper. 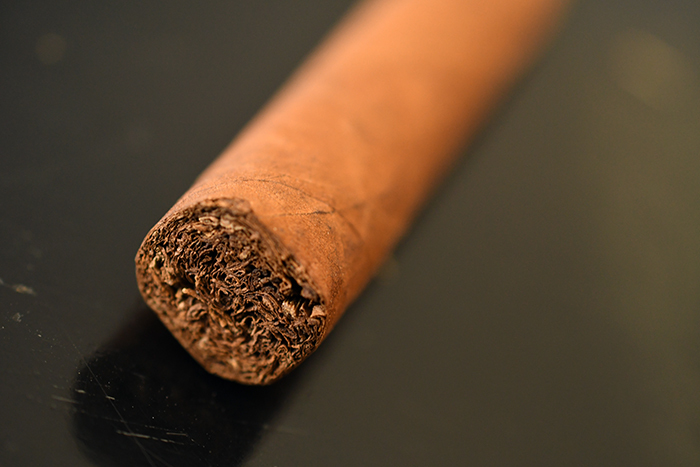 It’s medium brown in color with lots of darker brown and orange splotches scattered throughout the cigar’s body. The wrapper carries a good amount of natural webbing as well as some medium-sized veins. The wrapper’s texture is very gritty and toothy with a decent amount of oils. The wrapper feels a bit thin and I don’t want to apply too much pressure but I don’t encounter any soft spots leading up to the cigar’s triple-wrapped cap. 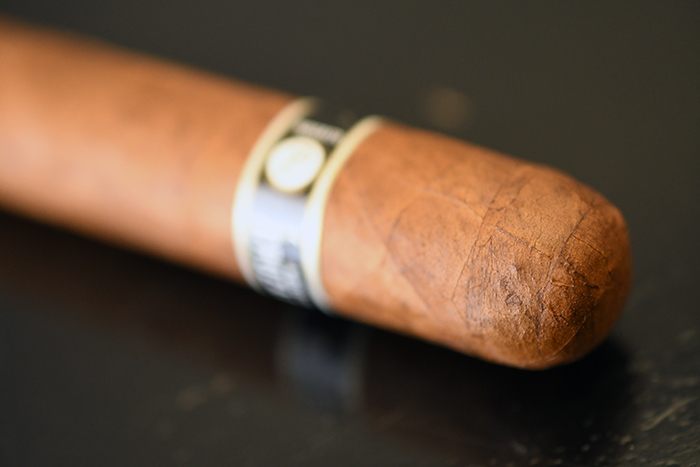 The cigar is then polished off with a simple, beautiful, elegant black, white and gold band with the Illusione logo as well as the Cruzado brand embossed across the front. 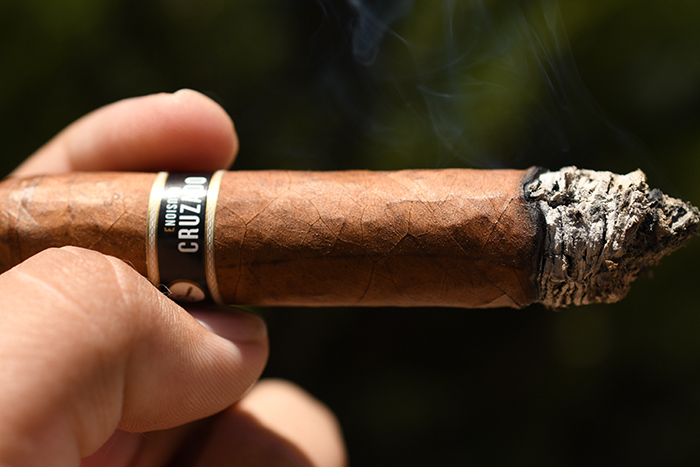 The wrapper on the Illusione Cruzado gives off a good amount of cedar, cashew, and musk aromas while the foot of the cigar is much more spicy, sweet, and natural. The cap cut clean and easily using my Xikar XO double bladed cutter. The cold draw produces a great amount of natural tobacco, musk, earthiness and spice. 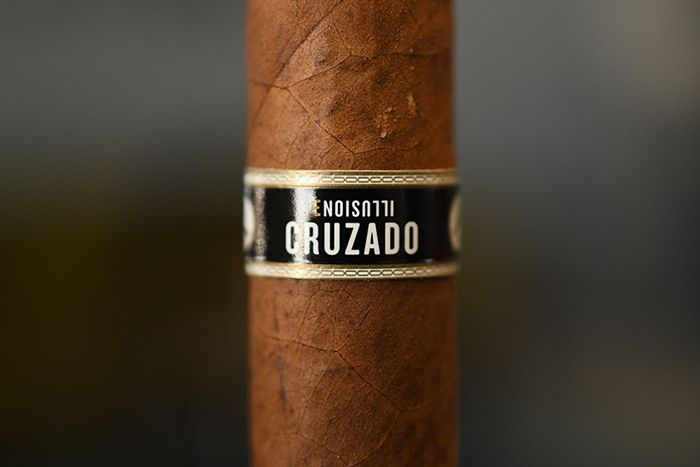 The Illusione Cruzado starts out with a small black pepper punch which quickly drops out after the first few puffs leaving behind a great mixture of musk, spice, cedar, coffee, vanilla, earthiness and sweetness. This cigar starts out incredible. The draw is perfect as each little puff kicks out huge clouds of thick, white smoke which hangs around for a considerable amount of time before dissipating. The burn line is razor thin but a bit wild leaving behind a semi-flaky mixture of medium and light gray ash which held on for about an inch before falling into my ashtray. 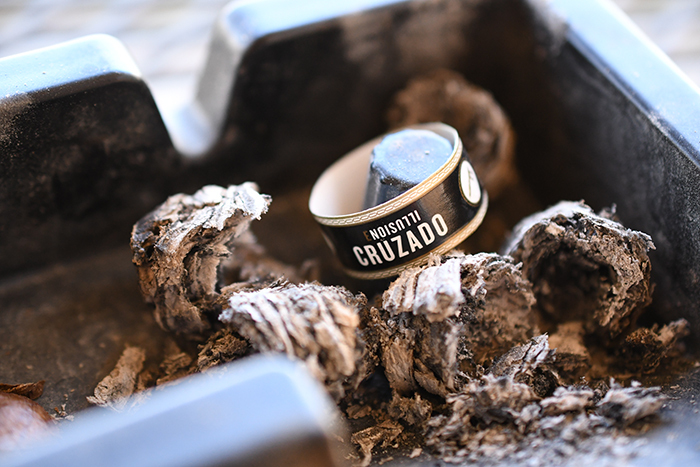 Into the second third of the Illusione Cruzado the flavors begin to cream out a bit resulting in a balanced mixture of vanilla, spice, coffee and cedar lead by musk and earthiness. The retrohale really brings out the spice and even a bit of the pepper that isn’t resident through the traditional experience. The burn line is still pretty wavy but my torch has remained in it’s case so nothing concerning there. I close out the second third with only a very minor nicotine hit. Into the final third of the Illusione Cruzado and this is where the already fantastic cigar begins to really showcase what it’s all about. Bold cedar, and musk lead the charger backed by vanilla and coffee with light notes of spice, oat, and cinnamon. The burnline has almost completely corrected itself and I never once had to break out my torch to touchup or relight the cigar. It took me an hour and a half to smoke the Cruzado down to the nub and I wish it would have just kept going forever. No harshness, no extended heat, and I closed out with a pretty minor nicotine kick. If it wasn’t already obvious I thoroughly enjoyed this batch of Illusione Cruzados. The profile is complex, yet balanced, with a ton of flavor and a subtle strength making for a perfect cigar. I could see just about any enthusiast enjoy this experience while it’s an ideal cigar for a novice looking to break into the premium market. 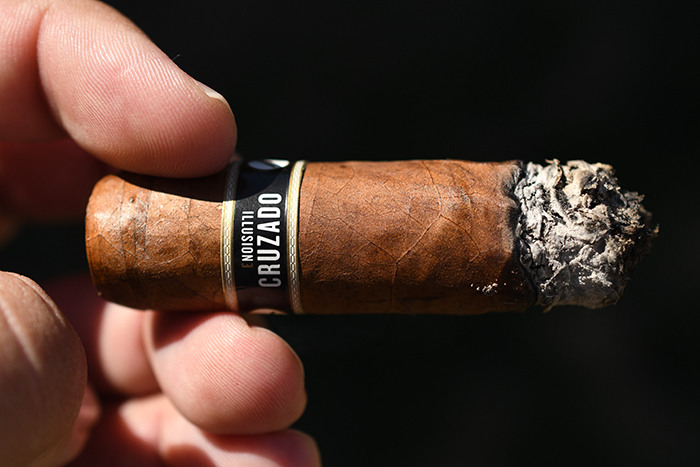 In my memory the Cruzado series always smoked very fast, but the last few I’ve smoked from this tweaked blend actually burnt extremely slow making for a long-lasting experince. 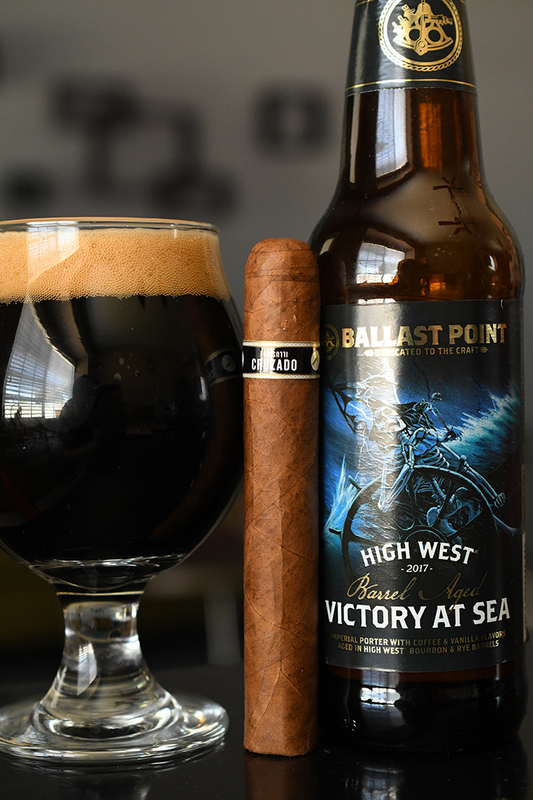 Brewed by Ballast Point brewing in San Diego, California Victory at Sea is an imperial porter with chocolate, vanilla, and coffee added. This High West version then takes that beer and ages it in High West Rye Whiskey barrels and the outcome is amazing. The beer leads with loads of vanilla and coffee, malty, good amount of sticky toffee and sweetness with a great barrel chewiness, and small amount of coffee. The mouthfeel is very thick and heavy before finishing with even more sweetness, vanilla, spice, and a bit of whiskey. The alcohol is very hidden under all the sweetness and the whiskey really starts to come out more as the beer warms. The vanilla, spice, sweetness and coffee pair beautifully with the existent flavors in the Illusione Cruzado without overpowering the cigar. 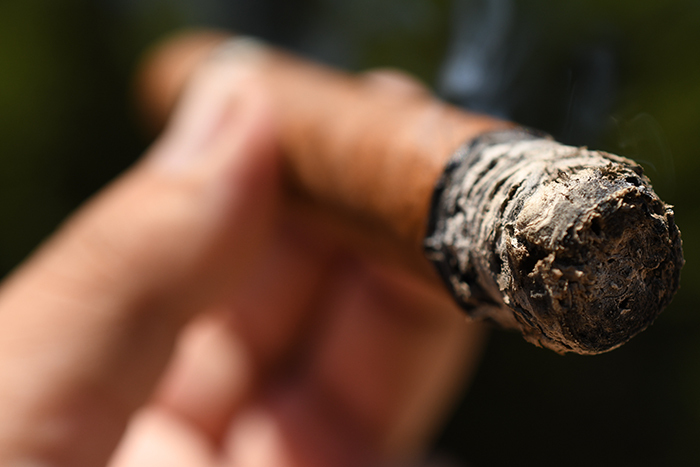 I would also pair this cigar with some great black or creamed coffee, Belgian Dubbel, or Tawny Port wine.